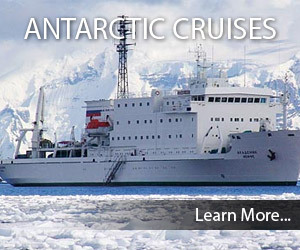 Antarctic Guide > About Antarctica > Antarctic Geography > What Time is it at the South Pole? That’s because time zones work on east and west and every direction from the South Pole is north. 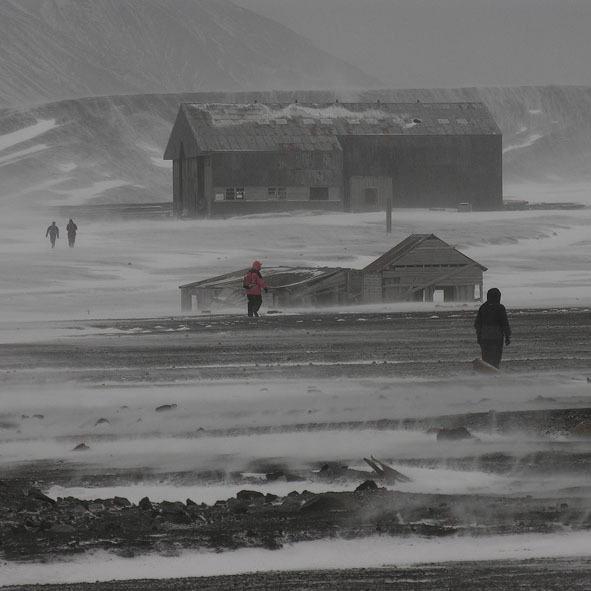 In nice weather, workers at Amundsen Scott Base in Antarctica can get some exercise by taking a quick walk around the world. That’s possible because this US base is located at the south geographic pole where all the meridians of longitude converge. So you can cover all 24 time zones as fast as you can run in a circle. This is just one form of temporal dislocation that takes place in polar regions. In October 1884, an international conference held in Washington DC agreed that the meridian of longitude through Greenwich, England would be fixed as the Prime Meridian or 0°. Thus Greenwich Mean Time (GMT) became the world’s constant (even if, for the next 12 years, France continued to refer to it as Paris Mean Time less 9 minutes and 21 seconds). More recently, GMT has become Universal Time (UT). By 1884 the development of national railways and telegraphic communication had made some standardisation of time essential. Until that time, towns and cities operated on the time for their specific longitude so when it was noon in New York City it was 12.12 pm in Boston. There was some discussion that perhaps the whole world should run on a single time and those in the Pacific could just get used to rising with the sun at 6 pm and sitting down for lunch at midnight but that option was rejected in favour of our current system of 24 zones within which everyone keeps the same time. There’s a strong practical interest in time for travellers to the poles. With the sun providing few clues to the hour, watches and clocks have added significance for human routine. But, again, the location skews the results. The circumference of the earth at the equator is about 40,090 km so each degree of latitude is 111.36 km. Each of the 24 standard time zones occupies 15° of longitude so, at the equator you can travel east or west for 1670 km before you need to change your watch but at the polar circle each time zone occupies only 665 km. So voyagers through the north-east or north-west passage may be changing time zones every day. If the clocks aren’t changed you may soon find the brief hours of darkness occur in the middle of the afternoon. The way the time zones fall has resulted in the island of South Georgia being one of very few communities to operate on the GMT-2 time zone. Meanwhile, bases on the Antarctic continent where longitude means little during 24 hours of daylight, often run to the time of their home country for convenience. Most school children daydreaming in class have noticed how neatly the International Date Line runs through the Bering Sea between eastern Russia and Alaska then across the largely landless Pacific Ocean. There are a few deviations so nations don’t have to deal with adjoining towns operating a day apart. One may think that delegates to the 1884 conference were strongly motivated to select Greenwich over other locations so that the 180° meridian would fall in this empty part of the world. If they had chosen Washington DC, for example, the Date Line would have bisected Asia (including China and Russia) and air timetables today would be infinitely more complex than they are. The truth is that the matter was given scant consideration in their deliberations. In fact, there is no such thing as an “International Date Line” formally adopted by all nations. That’s surprising as the need was discovered early: the Spanish sailed westwards to the Pacific while other nation expeditions travelled eastwards – when they met around the Philippines they discovered their logs differed by a day. By selecting 12 time zones either side of Greenwich the 1884 conference made the 180° meridian the theoretical date line. In 1899 a Professor Davidson from the University of California mapped the deviations from the 180° meridian a date line would follow to reflect which side of the line each Pacific island wished to be. His chart differs little from that conventionally used today. At the poles the 0° Meridian continues as the 180° meridian, of course. That divides Antarctica into East Antarctica and West Antarctica and introduces some confusion into one of only two parts of the world where east and west are largely meaningless concepts. At the south geographic pole every direction is north.